I think he took me about 6 hours with 2 10 min breaks. I treated it as a speed painting, but I got really frustrated at drawing metal while knowing I had a deadline. 14 minutes before submission deadline, i hope i place top 15. 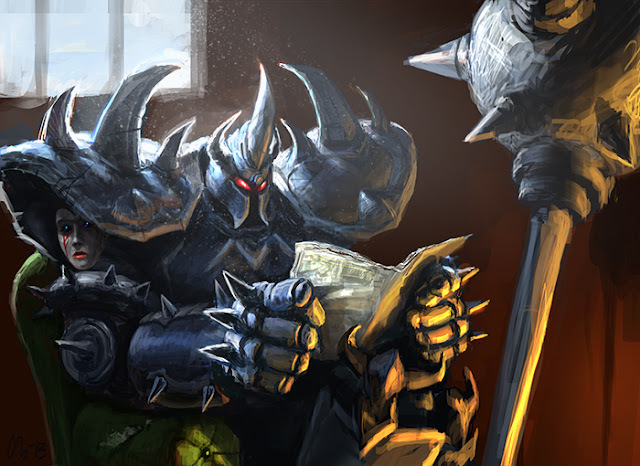 Mordekaiser trains by reading the newspaper, he doesnt need to hunt or workout, hes already badass... so...gg no re?